← What are Teeth Implants in One Day? What Are Mini Dental Implants and What Do They Cost? 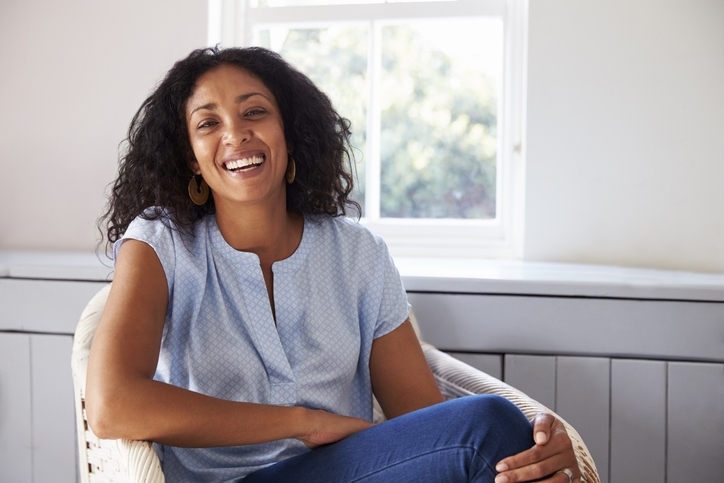 Until fairly recently, if you were one of the millions of Americans who are missing at least one tooth, your replacement options were probably either dentures or implants. And that’s not such a bad thing, because these options are both very good. But inevitably, some people were caught between. Dentures and implants are not for everyone. For example, most people qualify for dentures, but they are designed to be a temporary replacement. In this context, “temporary” usually means eight or ten years. IMplants, on the other hand, generally last a lifetime. But the implant procedure is quite complex and invasive. Now, there is a third choice. Mini dental implants are basically a cross between dentures and full implants. As the name implies, a mini implant is essentially a smaller dental implant. The crown (visible part of the tooth) is obviously the same size. But the abutment (artificial pulp) and rod (artificial root) are both much smaller. The abutment is the part of the rod which extends slightly above the gum and holds the crown in place. 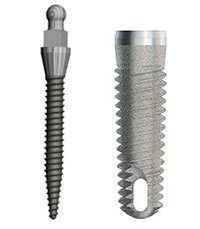 A mini implant’s artificial root is much thinner than a full implant’s artificial root. Yet since they are both made from titanium, they are incredibly strong. The smaller size directly affects mini implants costs. A smaller rod is easier to work with and place in the patient’s mouth. Furthermore, mini implants normally require no bone grafts. The thinner rods do not require as much bone mass in the jaw to support them. The no-bone-graft thing is especially a plus if you lost your tooth years ago and are just now having it replaced. In circumstances like that, a bone graft is practically inevitable if you have a full implant. After your initial consultation, Dr. Stone will lay out all your tooth replacement options, including mini implants. As with every prosthodontic procedure, there are unique pros and cons with each individual patient. In many cases, mini implants may cost only about a fourth of what full implants cost. But this is not a “you get what you pay for” thing. Mini implants are not cheap alternatives to full implants. In fact, most people cannot tell the difference between the two. As mentioned, much of the cost savings comes from the simpler procedure. The cost of materials is usually lower too, since a mini implant post is much smaller than a full implant post. If you qualify, mini dental implants may be a good tooth replacement option. These artificial teeth are permanent and easy to care for. Furthermore, mini implants cost a lot less than traditional implants. To see what Dr. Stone can do for you, contact Best Dental Associates today.